I’m 18 years old and was born in Berlin. I have just started studying architecture at the University of Art and Industrial Design in Linz (Austria). Can you remember the first time you were conscious of architecture around you? I have had an interest in architecture and buildings since I can remember. Naturally, not like how i look at architecture today. I was fascinated by skyscrapers and I just wanted to draw the tallest ones I knew. My real interest in architecture came with photography when I became aware of the architecture and the structures of the city around me. 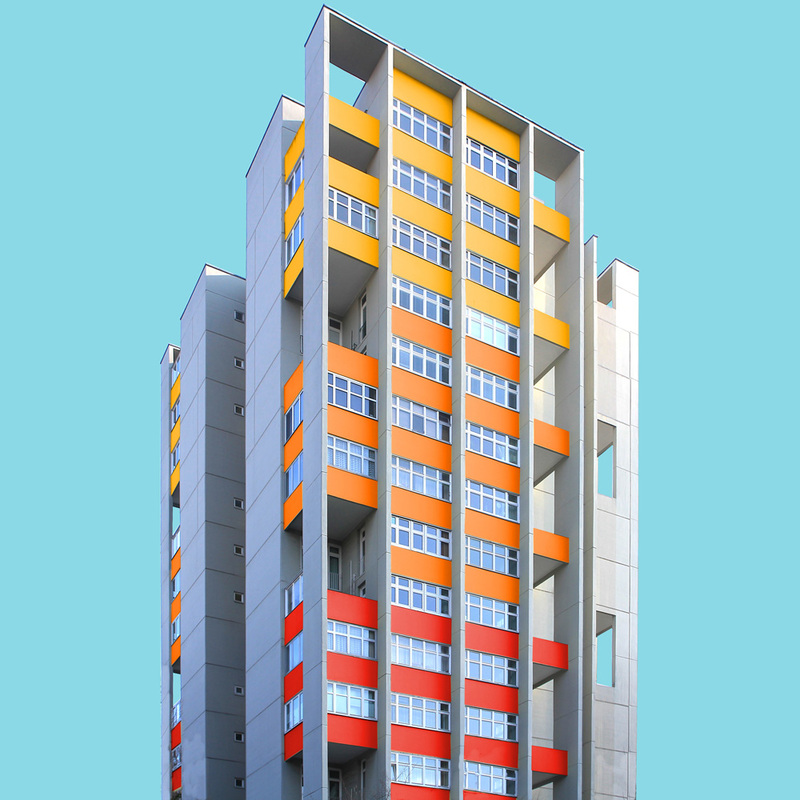 You went to the same school as Walter Gropius, how has that influenced your perception of architecture? Not directly. Unfortunately they didn’t offer architecture in my school; just a few lessons in Arts. The fact that Walter Gropius went on our school had not been mentioned once, but somehow I found out that he was there. Maybe because of that I started to become interested in his works and also the teachings of the Bauhaus. That school is one of the rare humanistic schools in Germany. And I think even if we had not really learned a lot about architecture there, we learned a lot about philosophy and society, which is also very important for the architecture of Gropius. 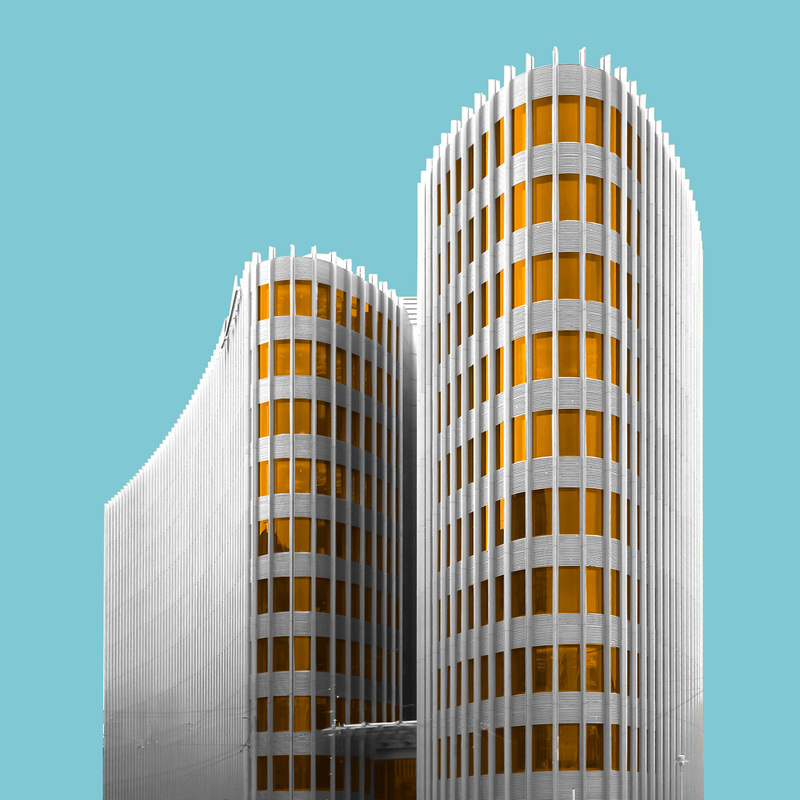 What is your perception on the architecture of Berlin? 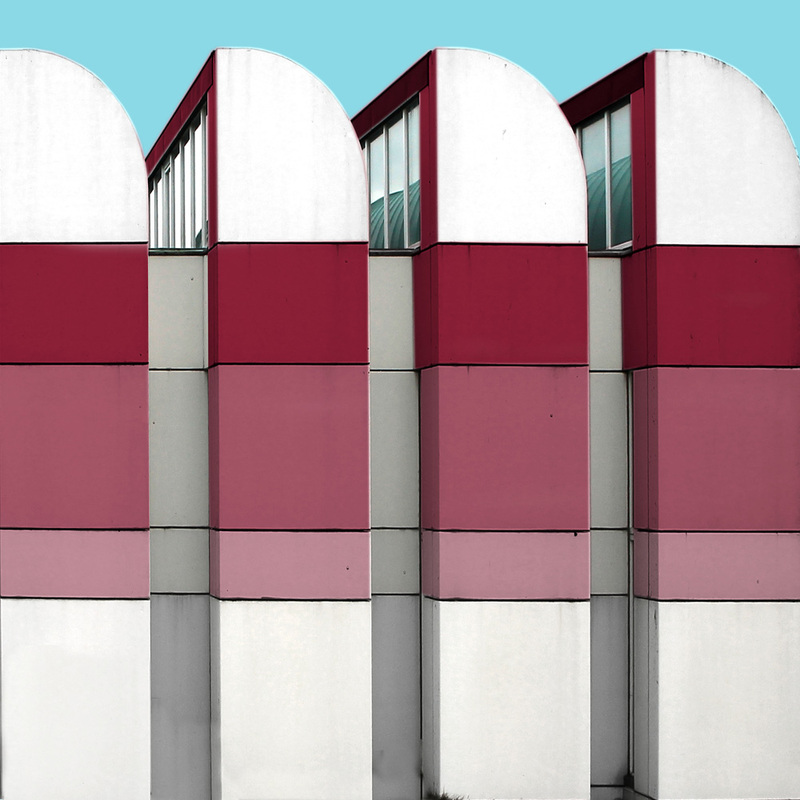 Berlin’s architecture has so many faces that it wouldn’t be possible to describe all of them. 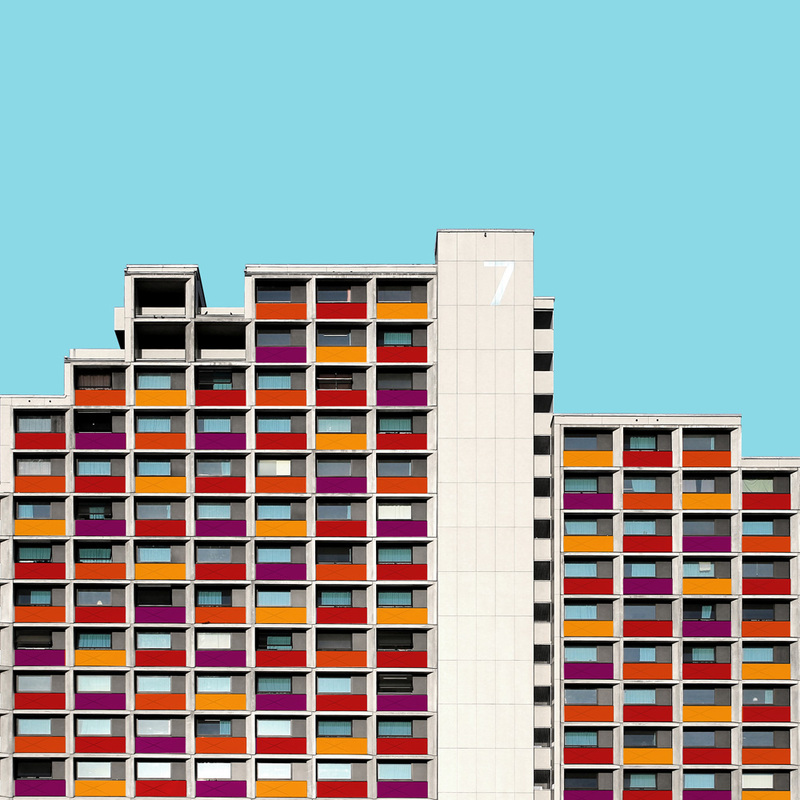 On the edges of the city are mainly social housing districts, there are the socialist buildings in the east of Berlin. And also in western Berlin are huge social housing districts, but with a totally different and not so monotonous architecture and also a different social structure. In the center areas of Berlin is a total mixture of architectural styles. I would maybe even say that there is chaos; mainly as a result of the destruction in the second world war. Besides the splendid historic buildings of the 19th century there are a lot of post- war buildings which are often very gray and monotonous. I got my first camera at the age of 4. Till the age of 14 I took a lot of photos on travels and everywhere, but that was just documenting or snapping with simple cameras. First analogue later digital. At some point my camera was broken and I thought about doing more ambitious photography. So i bought a DSLR and started experimenting with the photography. And in a city like Berlin it’s not a wonder that I photographed architecture as opposed to anything else. 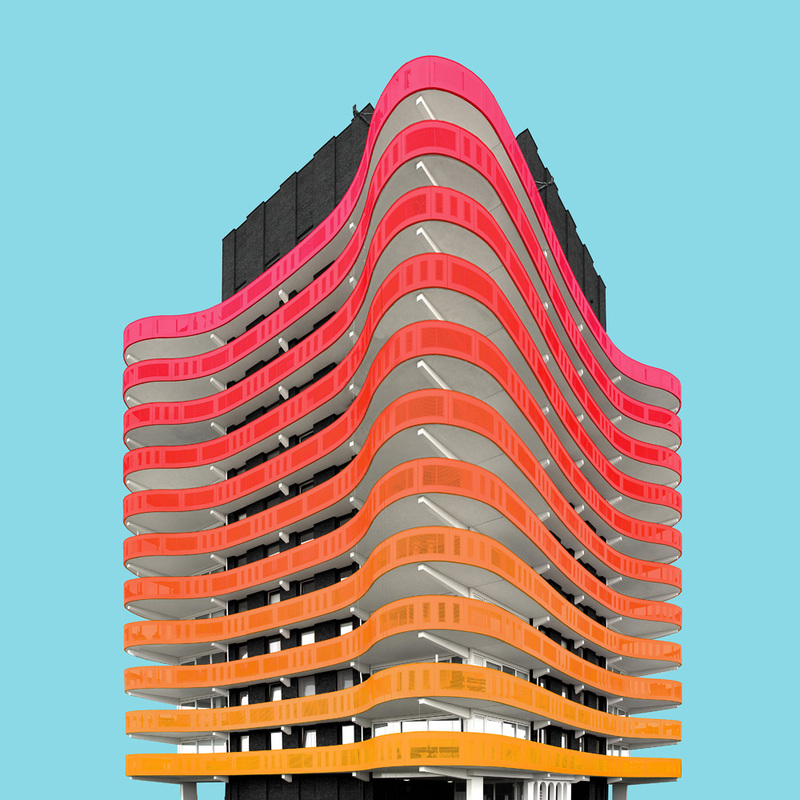 What brought about the interest in adding colour to these buildings? The idea came almost by accident. When viewing some photos of buildings that I had shot, realized how gray the cityscape of Berlin is in general. I thought of a way to make the buildings look more interesting than they actually are. The first buildings where I tried this “experiment“ had been some of the strong rectangular social housing estates of the former GDR. The geometric shape fascinated me, but all the buildings looked very similar. So I added colorful patterns on the facade to create unique images. 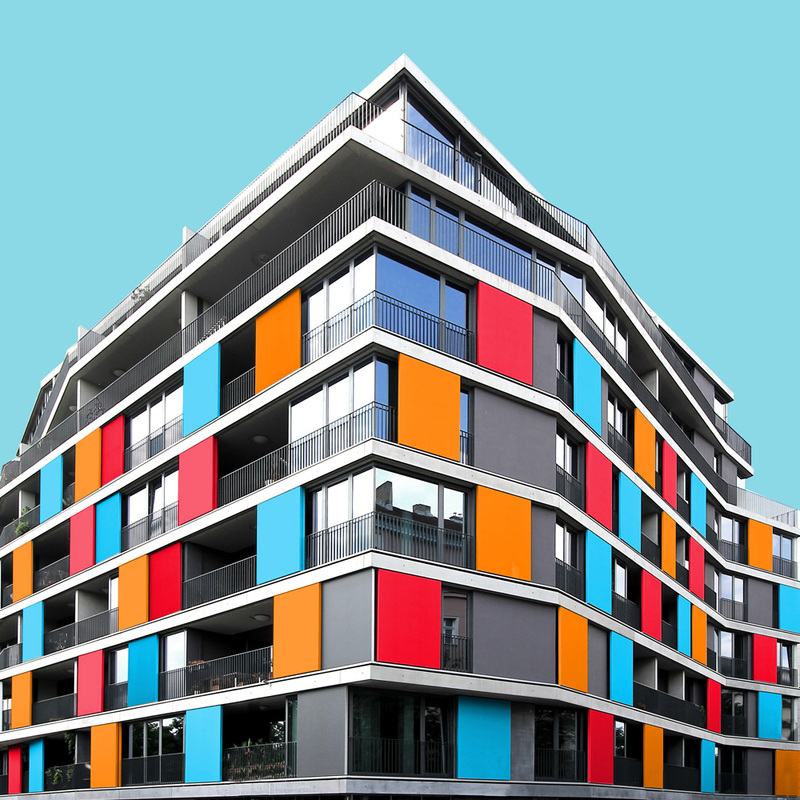 I think colour also helps to understand the structure of the building or at least arouse interest for the building. In a world of gray, good architecture can often not be perceived. There is certainly a theme to these images; give us a breakdown on the general approach to the image appearance. Yes, every image has the same background. Except the full frame facades. That works as a characterizing part which allows my images to recognized as one series. It also focuses the viewers eye on the building itself and does not distract him. Besides in all pictures, except a very few, are the buildings photographed from the front and I applied a perspective correction on them so all vertical lines of the building are also vertical in the image. That lets the building appear monumental and stoic. But because I photographed all with a wide angle lens, all the images also have a sense of depth. It seems to work really well, your Instagram account has 10k and is very striking. Tell us what inspired you to start it and what you think led to its popularity? It’s hard for me to explain what inspires the pictures I create. I think on the one hand there is the fact that minimalist pictures are something like a trend in the_architecture_photography on Instagram. On the other hand, when i started in the summer of last year, I found a very creative community which is open to unique and experimental ideas. I think that’s why it got so popular, that, and a little bit of luck that I quickly got connected with the right people and social hubs. In the spring of this year when the first magazines [Dezeen] published something about the project the ball really got rolling. 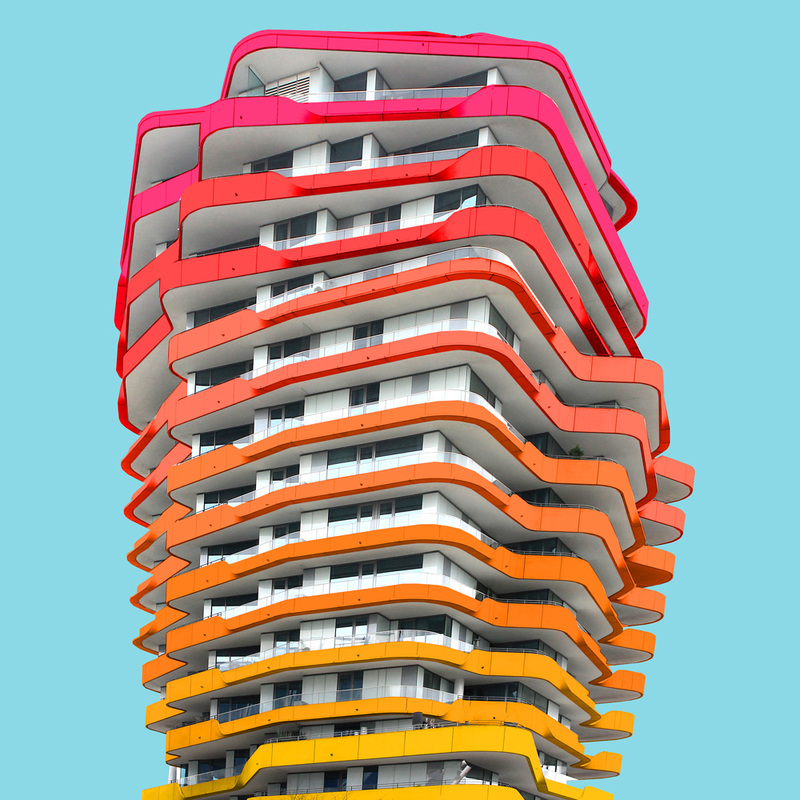 The Marco Polo Tower by Behnisch Architekten is a very special building. 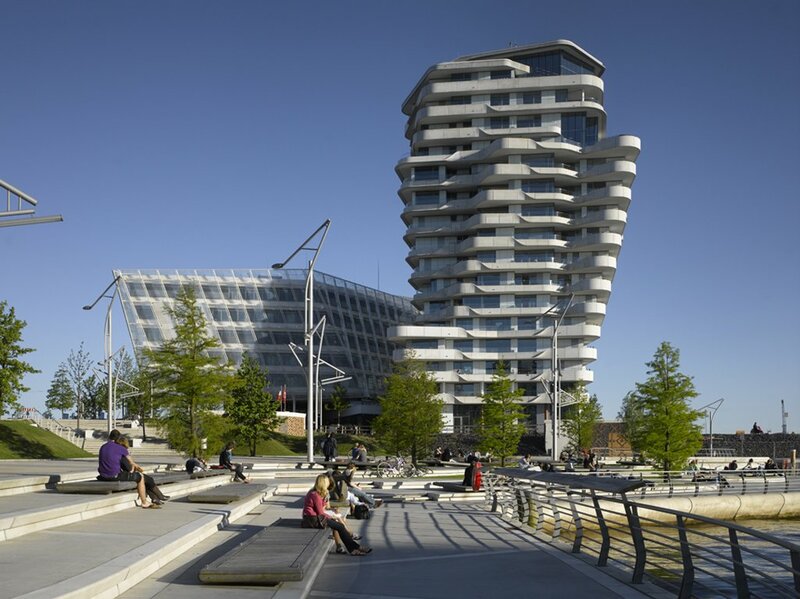 It’s standing in a new developed area in the harbor of Hamburg, which is called “Hafencity”. Even there, where most of the buildings are characterized by modern and often spectacular shapes, this tower sticks out with its curvy and powerful design. The building stands almost alone on the dock and guarantees it’s inhabitants a “million dollar view” over the whole harbor with hundreds of huge ships coming and going each day. However, that’s also the problem for this development. Firstly, the inhabitants are completely exposed to the harbour fumes and secondly all the smoke turns the bright white facade dirty and gray. So the effect which the building should actually achieve is almost nullified. 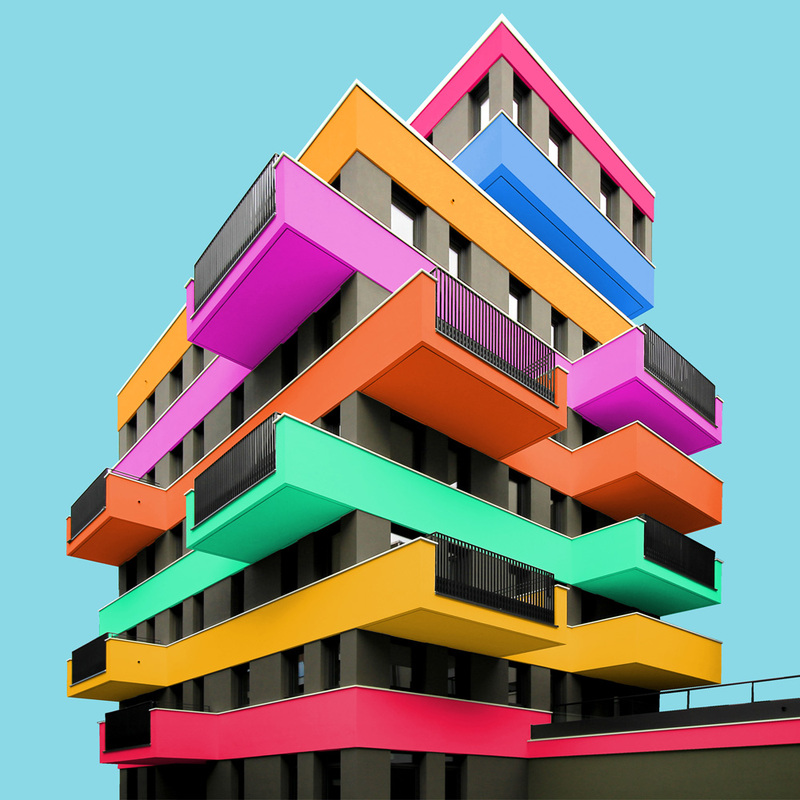 I think my colorful edit gives the building its effect back and allows it to look more spectacular and beautiful than it ever looked when it was all white. So it looks for me like a colorful Coral (which is also the title i gave the image). 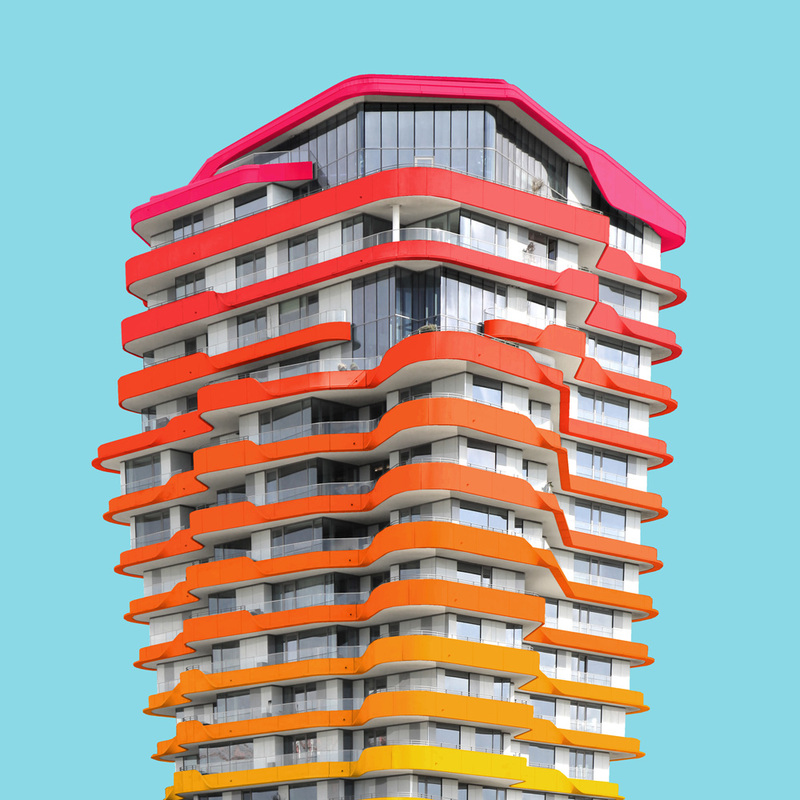 Is it safe to say that you are a fan of a more colourful approach to buildings? I’m a fan of interesting and beautiful buildings. For me colours are, besides the structure also a great way for creating unique and exciting buildings. Architecture should not only think in black and white. 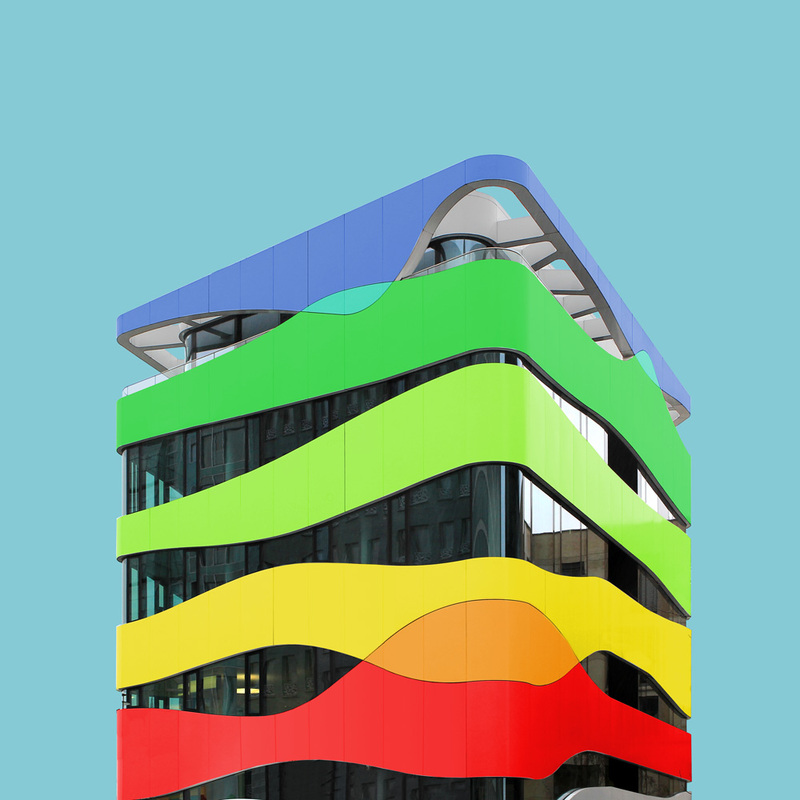 However I would not say that a building must have colours to be good. There are a lot of fantastic buildings I absolutely love, which are just white or gray. There are also a lot of buildings which are quite boring because the structure of the facade is just not very interesting, which is also understandable. 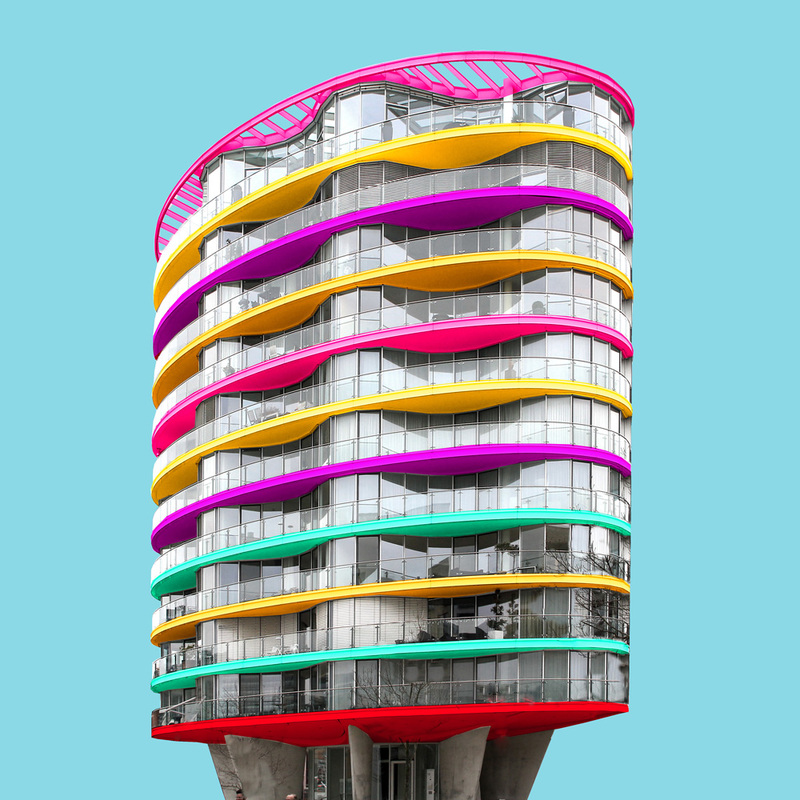 What are your thoughts on “colourful” architects like Richard Rogers and Sauerbruch Hutton? Both are very interesting but also very different architecture studios. 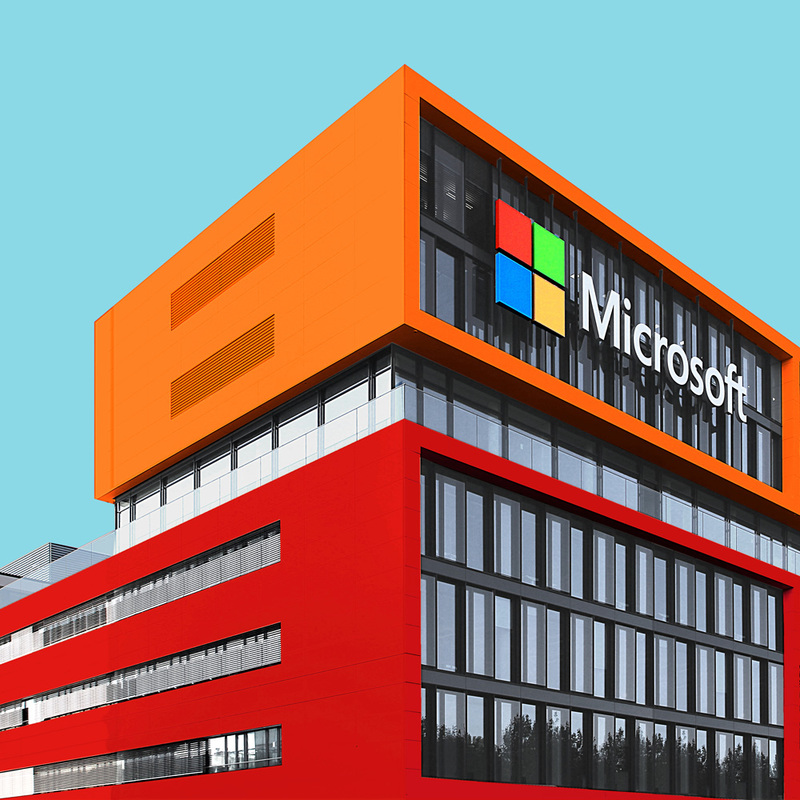 And both are using colours in architecture, each in their own way. Richard Rogers is a very interesting architect, because he has a complete different idea of creating buildings than all the other architects. His buildings are more like machines than places to live or work in. But the use of colors like at the Centre Pompidou prevents the building form looking like a power plant and more like a place of art and culture. 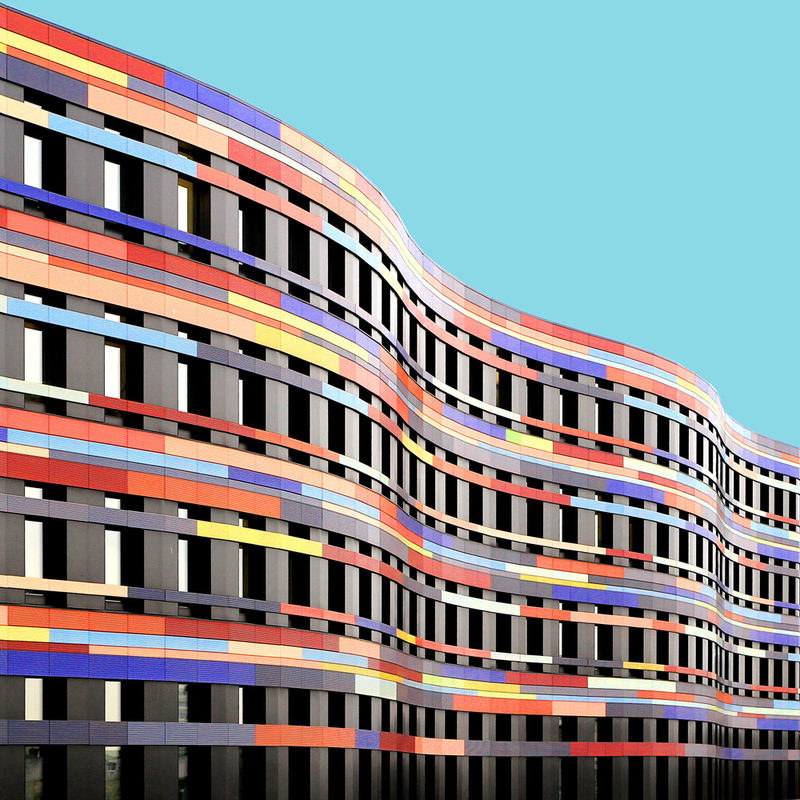 It should be no surprise that I love the work of Sauerbruch Hutton. They combine beautiful and complete forms with a nice colour design. They do not use revolutionary forms which have never exist before. I think their buildings without any colour would still be interesting, yet not so special. 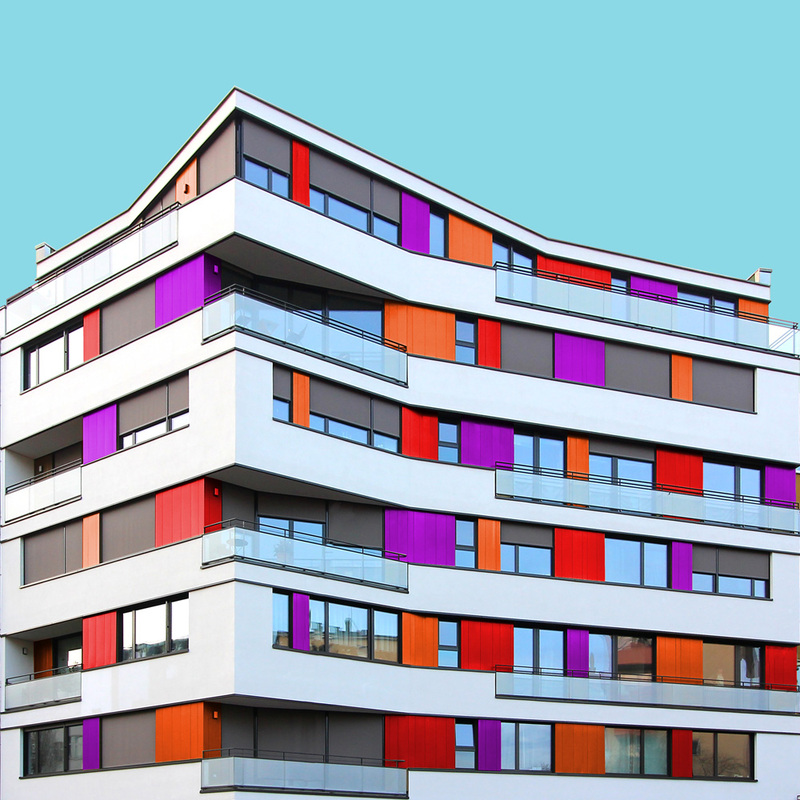 The colours of Sauerbruch Hutton’s buildings has also inspired some of my color designs in my images. What next for you, what do you wish to accomplish in your architectural career?I’m now at university studying architecture and it’s already lots of fun. I think that will keep me fascinated for a while. My dream is to establish my own architecture office someday, so I can translate my ideas for designs into reality. And principally to help to turn the cities in better and more interesting places, where the people not only have to but love to live together. I think a lively and appealing architecture is very important for that.